It is necessary to install applications that can boost your Mac performance and productivity if you regularly use it for your work. When the computer is fast, you will be able to finish your work punctually. These applications come with a user friendly interface that makes it easy for you to use them. The following are the top 4 applications that you can install to enhance your Mac. iDefrag for Mac is an advanced disk defragmentation software published by Coriolis Systems. It allows you to use five different algorithms to defrag the hard disk on your Mac computer. All five algorithms will boost your Mac performance. You can opt to receive an email notification when it has finish running the defragmentation process. When it first launched, you can choose the disk that you want to analyze. It takes about 70 seconds to analyze a disk that is about one hundred gigabyte in space. It is able to run defragmentation on the entire disk or a single file. Alfred can enhance the performance of your computer by allowing you to start programs with hotkeys. You can easily find the application that you want to launch with keywords. The clipboard history shows the images, and text that you recently copy so that you can conveniently copy them again. You can set up snippets so that you just need to type a short abbreviation to input the full text phrase in the word processor. You can implement an automated workflow that is a combination of hotkeys, keywords and action. It allows you to quickly calculate a complex mathematic problem. You can also use it to check spelling and find a word definition. Sophos Anti-Virus is a free anti-virus software that allows you to perform on-demand malware scan. It is a completely free software without any ads and it does not request for your credit card information. Sophos Anti-Virus is able to remove various types of malware including malware, ransomware and viruses. It can block access to sites that are malicious and contain virus. You can control which websites to allow and which websites to block for each computer. You can install Sophos Anti-Virus on up to 10 computers and control all the security settings from a single computer on your internet browser. The management tool is protected with password and will automatically logout if you are inactive for some time. 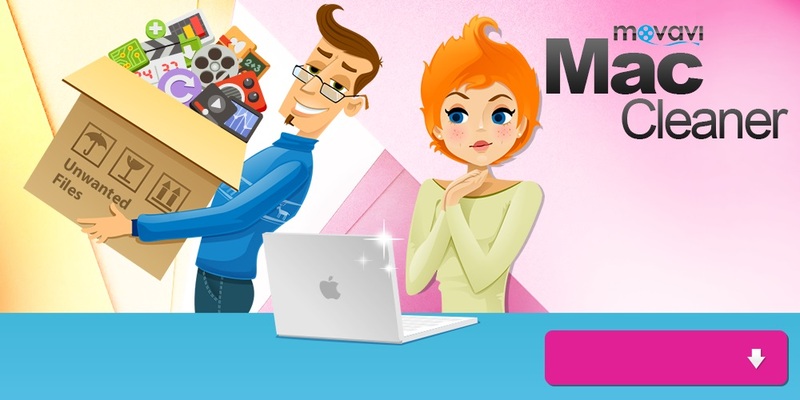 Movavi Mac Cleaner is a Mac cleaner software that allows you to delete all sorts of cache files and other types of junk files that are consuming your hard disk space. It can also be used to uninstall unwanted applications to free up more disk space on your Mac computer. In just a few clicks, you can get rid of apps that are taking up disk space, and CPU resources so that your PC performance can improve. Many of the system apps in Mac OS X computers like iMessage are seldom used so you can use Movavi Mac Cleaner to uninstall them. Movavi Mac Cleaner divides the apps on your computer into three different tabs instead of putting all the apps under a single tab. The iMessage app is a system app so you will be able to find it under the OS X Apps tab. You can click the right button of your mouse to bring up the right click menu and select Sort by Name. When the apps are sorted by name, you must scroll down to apps that start with M and look for Messages. If you recently use iMessage, you can choose Last used on the right click menu so that it will appear on top of the list. You must select Messages in the app list by checking the check box besides it. The final step is to click on the Remove button to uninstall iMessage. Now-a-days, every laptop need some special software to boost their performance level. According to description these software sounds as – they have maximum potential to boost performance of Mac OS X. Thanks for exploring these beneficial softwares. Well I haven’t installed any optimizer software on my mac and I guess I should try any one of these software to improve the performance.